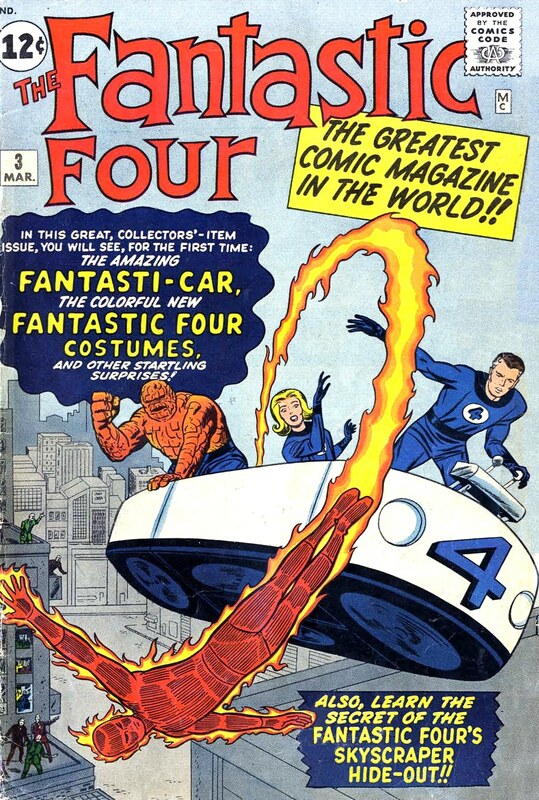 The cover to Fantastic Four #3 is a pretty iconic image for FF fans. It's the first look at the team's costumes and the flying bathtub. Plus, it's a pretty clear depiction of the whole team, with no cover blurbs blocking parts of characters or villains getting in the way, and with all the team members given nearly equal visual weight. There aren't many Jack Kirby covers that do all that. FF #59 kind of works, but the characters are all separate and don't really look like a single group. Now, you all know me as a Kirby fan, but I have to say that this cover really just bugs the heck out of me. I've never liked it. Why? Because it's wrong. Not in some weird design sense, or as some sort of artistic judgement I'm making, but it's just plain anatomically wrong. 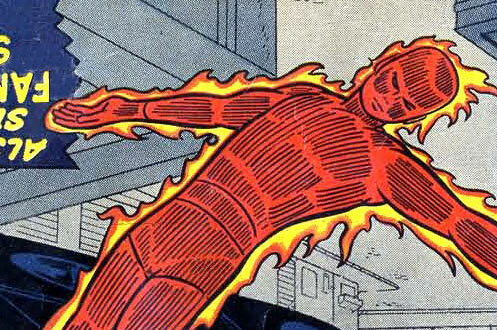 Look at the Human Torch's right hand. His palm is stretched up towards his head (down relative to the cover itself) but his thumb is positioned to the front of his body. Try it with your own hand. Right hand, palm up. Where's your thumb? Pointing back behind you. Looks like about the most unnatural thing in the world, now, doesn't it? Nice catch. He was human after all! I like to think it's deliberate: there's a secret tradition of wrong-handedness in the FF. Compare the splash page of FF 88, the cover of FF 118, or the splash page of FF 152. It's a secret sign, and one day Nicholas Cage will make a movie about it.